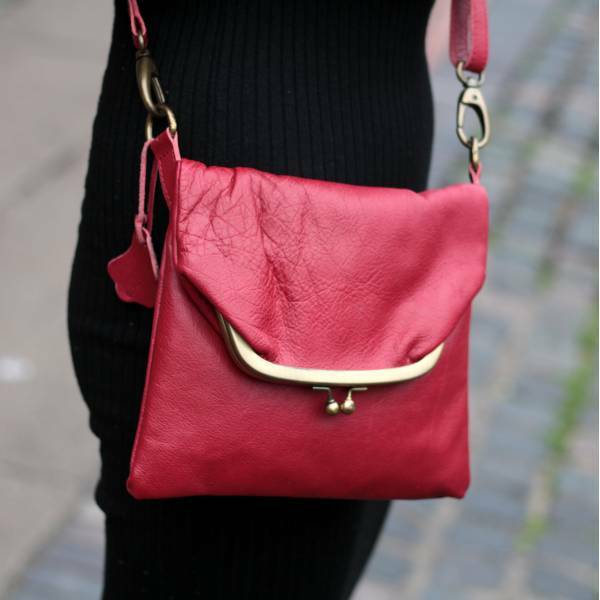 Step out in style with our Mini Dublin clip bag in Red Leather. The measurements are 22x23cm and the flap measures 11.5cm. It has a pocket on each side of the bag measuring 15cm each. 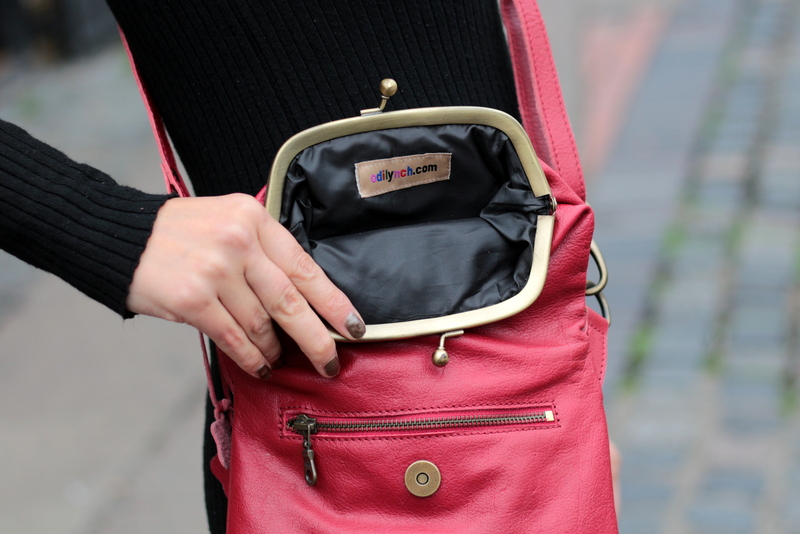 The lining is black and waterproof and is made to last and last. 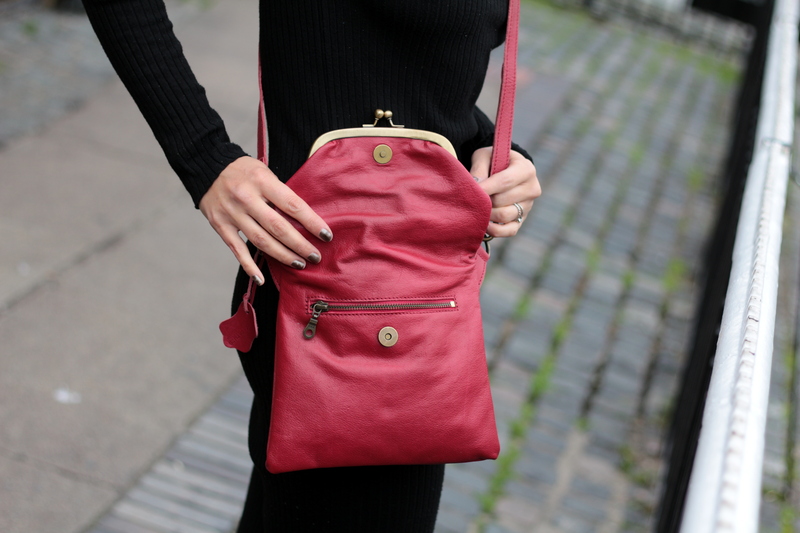 This lovely little bag comes with a removable and fully adjustable strap allowing you to wear it as a shoulder bag, cross-body or even as a clutch. 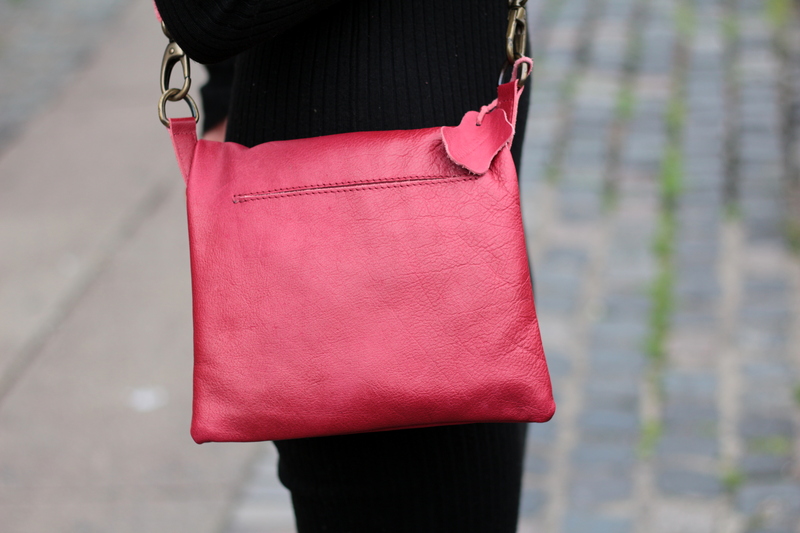 The leather is very soft and lightweight and yet very sturdy, the fittings are made of brass.